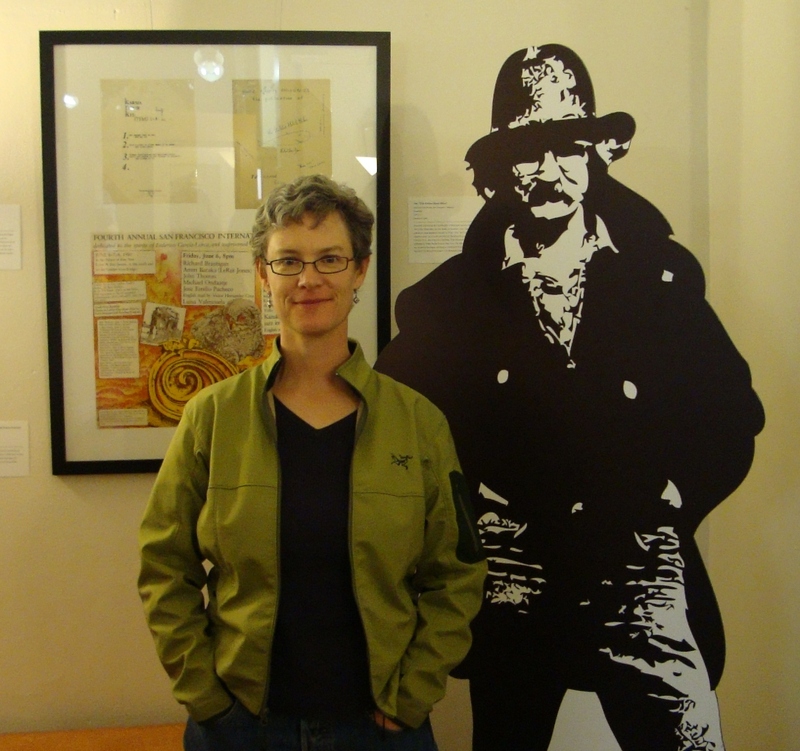 At the opening of the Brautigan Library, Clark County Historical Museum, October 2010. I don’t know who started the game, but many authors are now playing it. A writer posts answers to questions about her next project on her blog, and then she tags other writers to do the same. The game is called the “Next Big Thing.” Donna Miscolta tagged me, so here are my answers. I read a New York Times article about good books to take on literary pilgrimages and was surprised to see it included Richard Brautigan’s Trout Fishing in America, a cult classic from the 1960s. I was obsessed with Brautigan in my adolescence, but over the years I’d gotten rid of all of my copies of his books except one: Trout Fishing in America. The article made me want to re-read the book, and eventually my partner, Arline, and I took that literary pilgrimage. Creative nonfiction/memoir. The book is not a conventional memoir; it consists of a series of short essays – flash nonfiction – that explore my readings of Brautigan, experiences as a late baby boomer, and Idaho ancestry. The thread that binds them together is the trip we took to Idaho. Brautigan’s novel is dated in some ways, but what makes it feel contemporary is the form. He, too, was experimenting with short pieces that often read like micro-essays. I enjoyed writing in conversation with his work. Arline requests that the Hanna Schygulla of “Sheer Madness” play her. I’m thinking Tilda Swinton would make a much better me than me. I can dream, can’t I? No idea who would play Brautigan. Trout Frying in America is a conversation with Richard Brautigan’s iconic 1967 novel, Trout Fishing in America; at thirteen I obsessed over his book, and at forty-five I retraced his Idaho journey in order to understand my obsession. For about two months, I got up early each morning, read a chapter of Trout Fishing in America, and wrote a response. That is, I used each chapter as a writing prompt. This resulted, not in a first draft per se, but a rough collection of interesting (or not-so-interesting) pieces that I then began to shape into something more coherent. What other books in your genre would you compare this to? Two compelling memoirs written in short essays are Abigail Thomas’s Safekeeping: Some True Stories from a Life and The Chronology of Water by Lidia Yuknavitch. The project inspired a couple of separate, longer essays. Thinking about my experiences as a late baby boomer led to an essay about growing up during the fight for the Equal Rights Amendment. Calyx published “Ratification” in summer 2012. The Brautigan literary pilgrimage – along with a Virginia Woolf pilgrimage – has a cameo role in an essay about my father, “Death of a Death Scholar,” that was published in Bellingham Review in fall 2012. Smitten with the short essay form, I’ve been posting experiments on my blog as well. Christine Johnson-Duell and Elaine Elinson: You’re it! This entry was posted in Uncategorized and tagged Brautigan, writing. Bookmark the permalink. LOVE the photo. Hm, who WOULD play Brautigan?